The Happiest Cruise to Ever Sail just got happier! It's now the Merriest Cruise to Ever Sail, as the children of the world take you on their idealistic tour of the holidays and traditions from around the globe. Pure holiday magic! 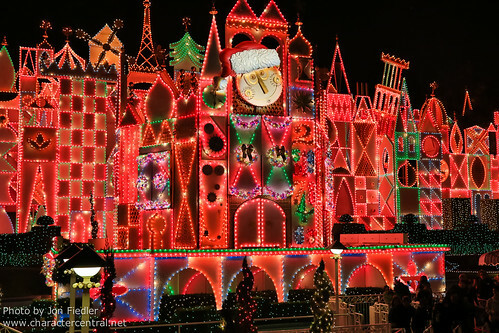 "it's a small world" Holiday runs throughout the Christmas Season at Disneyland (Holiday Time). Dates can vary slightly from year to year though. Check the Disneyland website before your visit for more information. Be sure to stop by at night and catch the lighting. The lights on "it's a small world" Holiday are absolutely stunning, and truly magical.